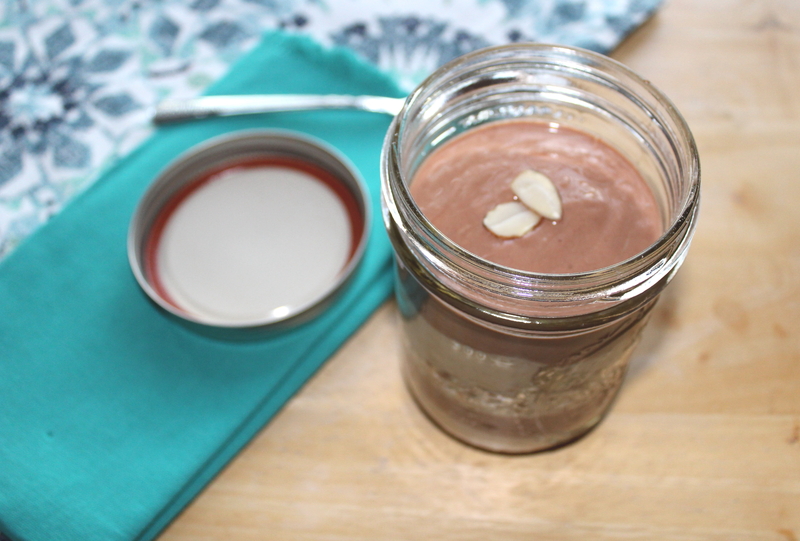 Peanut butter and chocolate – two of my obsessions joined together in today’s recipe, this delicious, nutritious, wholly processed-sugar-free yogurt breakfast parfait. 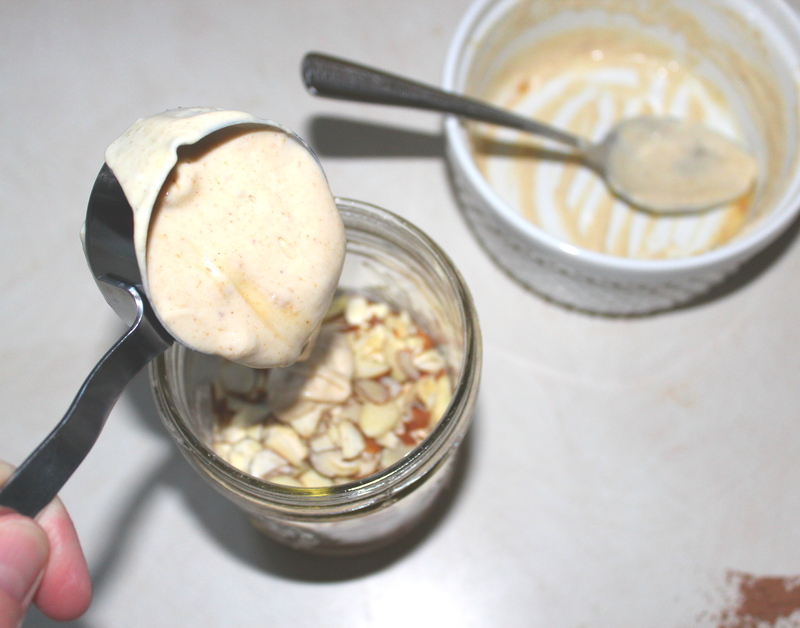 I eat entirely too much peanut butter on a daily basis – mixing it into my breakfast oatmeal, savoring it as part of my apple-and-peanut-butter mid-morning work snack, scooping a spoonful or two out of the jar for a post-workout, pre-dinner hunger-staving. It’s just so scrumptious! When I was younger and had my first taste of natural peanut butter – just peanuts ground up in a jar – I admit, I was not at all impressed. I thought it tasted so bland. Fast-forward years later, and I can’t imagine even thinking that. The popular conventional brand that I grew up on now tastes to me like the processed lab experiment that it is, while my natural peanut butter tastes so complexly delicious – all rich roasted flavors. And it’s just peanuts, ground up, in a jar! Remarkable! And chocolate! Sweet chocolate, my love for you is a given. Choco-holism runs deep within my maternal bloodline: my grandma rocked a “Hand over the chocolate and no one gets hurt” sweatshirt for years, and her chief concern, at nearly 88, is where in her room her candy is hidden; my mom is about as fond of the stuff. So when I, a third-generation chocolate obsessive, discovered a healthy way to eat it in the form of unsweetened raw cacao – POW! – my mind was blown. A form of chocolate including all of these amazing antioxidants and minerals, yet as sweet as a traditional processed-sugar-laden chocolate bar when mixed with a natural sweetener such as honey or pure maple syrup? And available in powdered form so I could stir it right into my oatmeal with my peanut butter? You bet I was hooked! 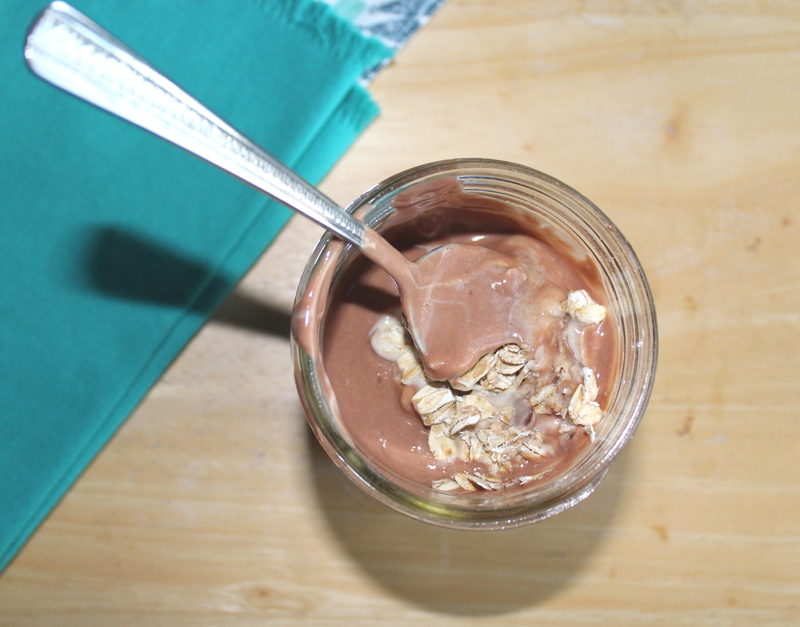 With this mutual love for peanut butter and chocolate, it was only natural that I create an awesome, processed-sugar-free yogurt breakfast parfait so I could have another excuse to enjoy them together before 8 a.m. I happily extend that excuse to you! As with the lovely Chocolate, Raspberry, and Hazelnut Yogurt Breakfast Parfait recipe I posted back on Leap Day (nothing like fresh raspberries! 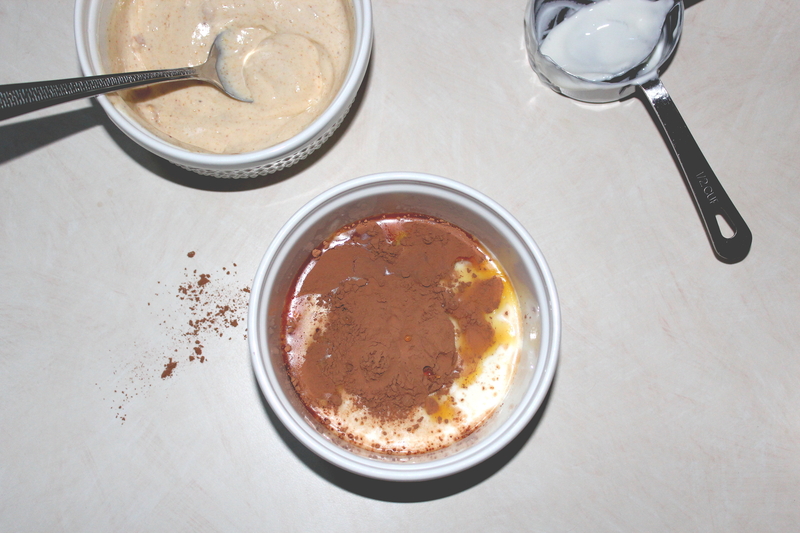 ), this recipe can be made ahead and stored in the fridge in a Mason jar. It feels so great to stumble out of bed and have to do nothing to prepare breakfast other than pull a jar out of the fridge and unscrew the cap! 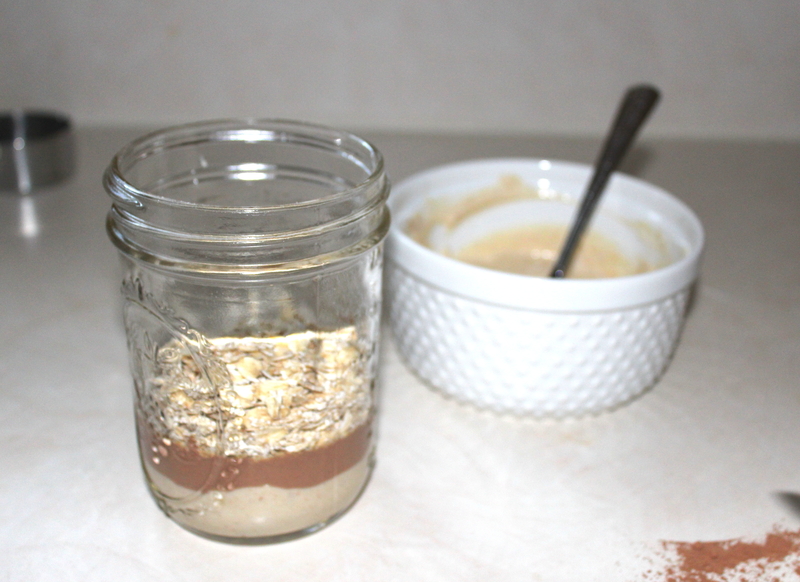 Worth noting: I used a 16-ounce wide-mouthed Mason jar. You could get away with using one that’s a bit smaller; there was space leftover in the jar. And that’s it! 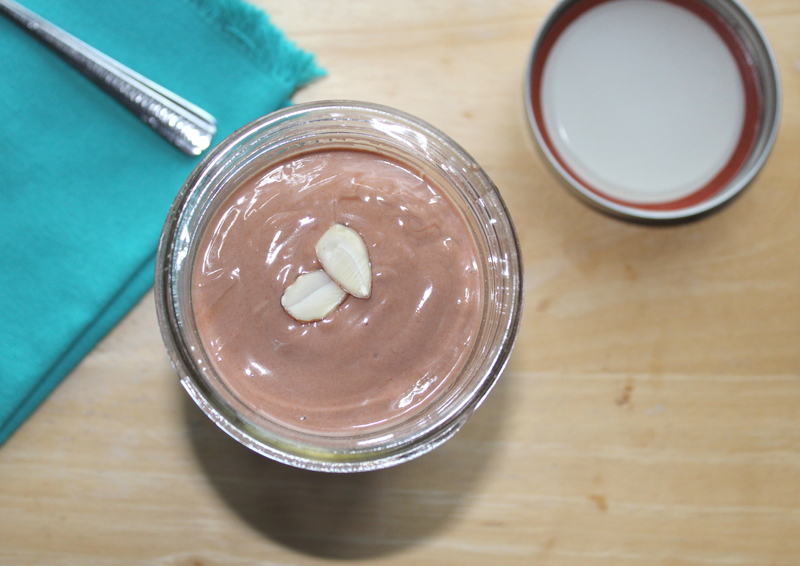 Garnish with a few sliced almonds, and you’ve got a healthful, delicious breakfast treat that’ll make even the most dreaded of the work-week mornings bearable!